Our large Safe Cover is designed for covering trenches up to 900mmm in width so that pedestrians and some vehicles can still cross. DETR Safety at Streetworks and Roadworks code of practice compliant. Designed for use in street works. 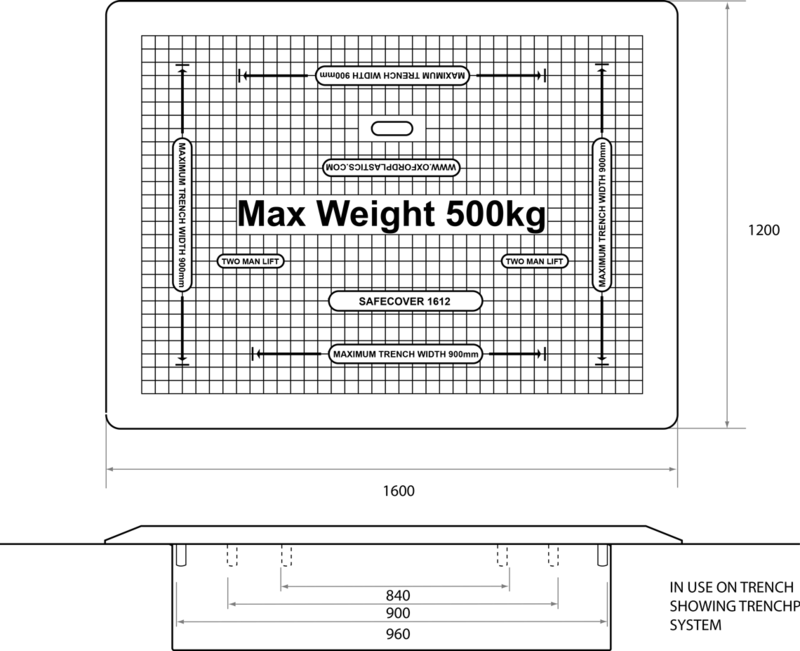 1600mm x 1200mm - 33kg Weight. The standard colour is yellow, though we can have other colours manufactured upon request.